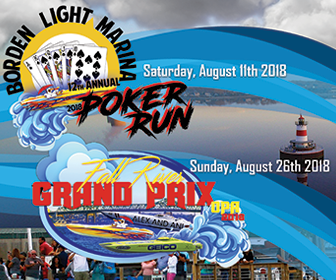 High on the priority list for any performance boater’s schedule is poker run fun. The favored venue is salt water, but many boaters enjoy running in fresh water as well. The whole idea is to cruise and have fun without worrying about how you’re going to outsmart or out-power the next fellow. The key is a reliable, flexible power plant, one that idles smooth and civilized at 700-800rpm, seems to have a fondness for chugging about harbor confines, and one that will absolutely lift your wig under maximum throttle, quickly attaining plane-out speed. The whole idea is to cruise and have fun without worrying about how you’re going to outsmart or out-power the next fellow. 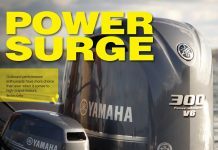 The key is a reliable, flexible power plant, one that idles smooth and civilized at 700-800rpm, seems to have a fondness for chugging about harbor confines and one that will absolutely lift your wig under maximum throttle, quickly attaining plane-out speed. If Jon Kaase (KAH-zee) Racing Engines of Winder, Georgia, doesn’t pop right up in your memory bank, it’s probably because Kaase has been involved with highly successful drag race engine-building programs for most of his professional life. He is one of the pioneers of the modern “mountain motor,” an engine that produces 1,400 normally-aspirated horsepower from 820 cubic inches. Kaase is a staunch Ford supporter who has recently revived the vaunted Ford Boss 429. Kaase refers to this as the “Boss Nine”. Aside from tweaking all the original sins out of existence with a technique unknown in the halcyon days when the Boss 429 ruled the race circuit, Kaase now offers his Boss Nine in displacements ranging from 429 to 605 cubic inches. 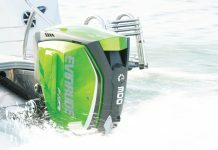 The Boss Nine rendition featured here represents Kaase’s inaugural marine venture, a 528ci version built from a Ford Racing SVO cast-iron, tall-deck (10.320 inches) cylinder block with a 4.500-inch/4.150-inch bore/stroke combination. It has siamesed cylinders, screw-in freeze plugs, and dry cylinder liners (coolant flows around the aluminum casting, not the liner, thus prohibiting rust). The Boss Nine is available in bore sizes from 4.390 to 4.600 inches and stroke lengths of 3.850, 4.125, 4.250, 4.300, and 4.500 inches. In addition to this range of engines, a stock 385-series can also be pressed into service. Although not as inherently strong as its SVO counterpart, it weighs less; it also costs less (by about $350) and it is readily available.